NOT from August 16, 1967. The Telecaster had already been repainted into its Dragon persona. This would have to be before April 1967. Any thoughts? Sam provided a photo credit...Paul St. John...so if photographer is still in touch he may be able to help to clear this up. It can't be Pittsburgh the year prior (Nov 22-23 1966) as they played Civic Arena (that's definitely not the Civic Arena). Can't quite make out what the sign behind him says..."the best show? ?...UAC?...or JAC?...?" We could double check the venue for Nov 22-23 1966...Civic Arena...otherwise I guess it comes down to there is an as yet unconfirmed Pittsburgh date or ? Not sure if the photographer will recall anything further, will check. As Steve mentioned, it's possibly from either the Nov. '66 dates at the Civic Arena or possibly another unknown Pittsburgh area gig. Update: Spoke to the photographer again. 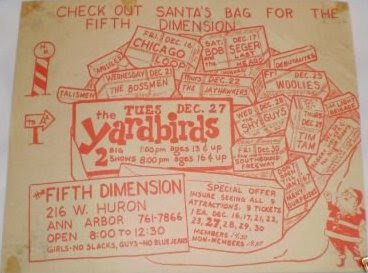 He said it's the one and only time he saw the Yardbirds and he's sure it was the Hunt Armory. 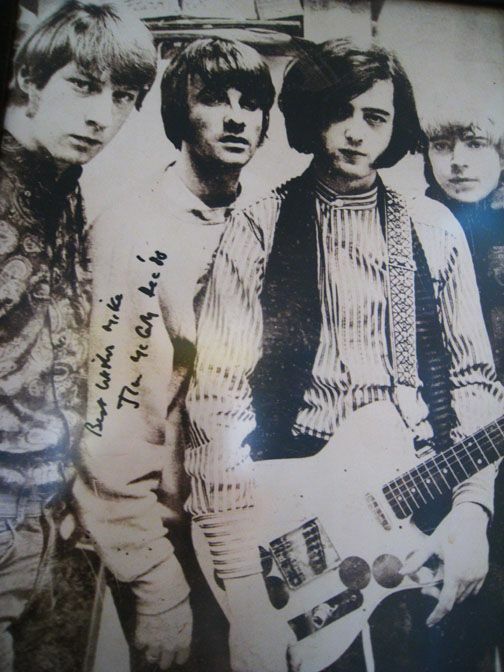 So there could be another unknown (earlier) Hunt Armory Yardbirds date. I'm not saying that spaces can't change their appearance in 40+ years, however, here is the interior of the Hunt Armory as of last summer. I just think with the lack of ceiling tiles/ceiling infrastructure, I can't buy that the Page picture came from the Hunt Armory. You'll have to be consistent about why the August 16,1967 date is questionable. Is it because of the guitar or the ceiling? Or both? The staging area in the photo has probably long since been removed from Hunt Armory. I'm looking into that, as well as the signage behind him. 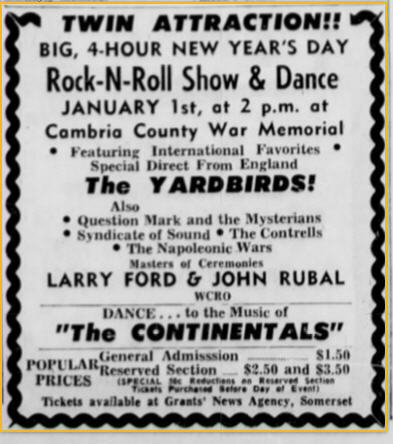 If correct, this would seem to rule out an unknown Pittsburgh date as it is unlikely they would have played the Pittsburgh market twice in the first eight months of 1967. Roughly between Jan 15th and July 67 they were out of the US (Australia, NZ and Europe)...so that leaves the first two weeks of Jan 67. The only reason I can think of that they would play another Pittsburgh show so soon after the Civic Centre is if it was for a College or University. The first photo is from December 4, 1966. 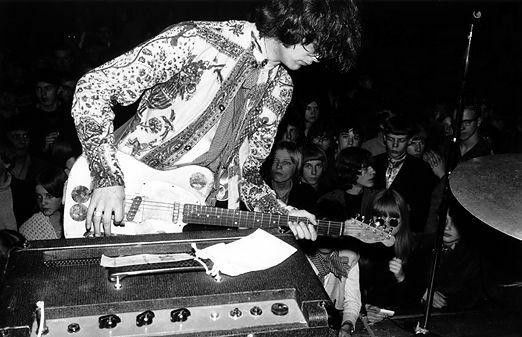 Upon taking possession of the Tele from Beck, Page put the original white colored pickguard back on. The Tele looks worn. The next photo is from February 2, 1967. Page put eight reflective circle on the front of the Tele. 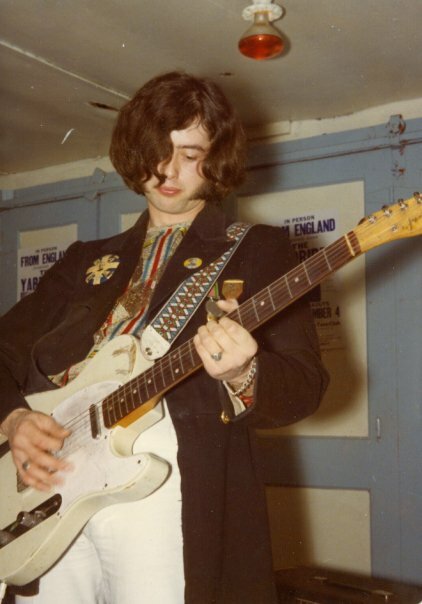 Pink Floyd's Syd Barrett was seen in the recording session for the movie "Let's All Make Love" in January 1967 with a Telecaster with reflective circles on the front. I've always said that Page did this as a nod to Barrett, however, I have never found a link between the two, such as a live date where both bands played or a Pink Floyd date around the London area when Page was NOT on tour. 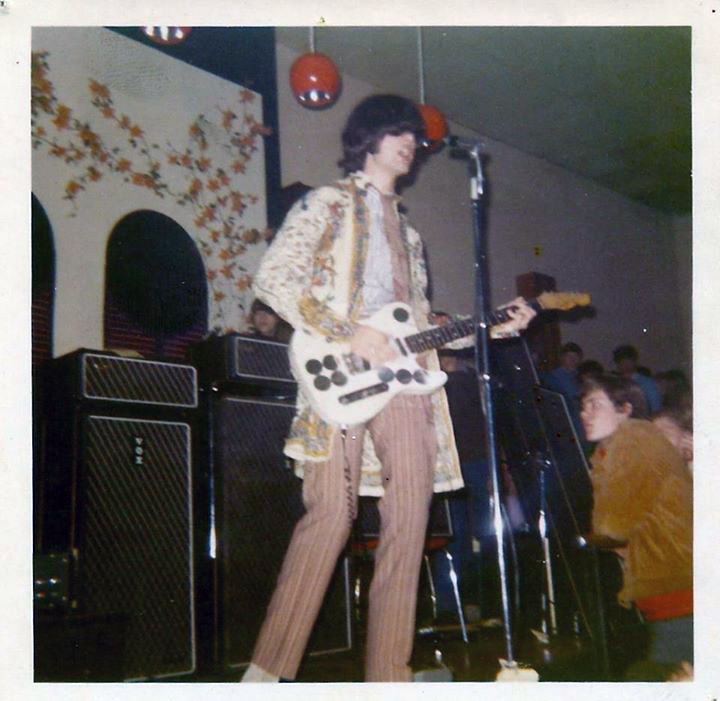 The third photo is from April 13, 1967. This is the last dated photo I have of the Telecaster with the circles on it. 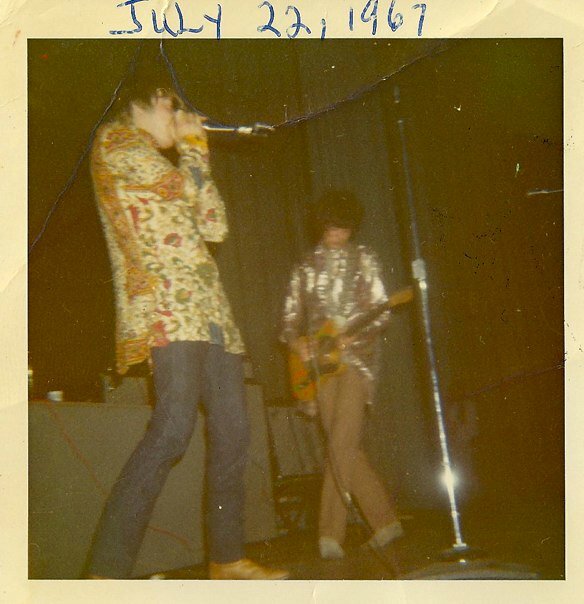 The fourth photo is from July 22, 1967. This is the first dated photo I have of the Telecaster having been stripped down and had the Dragon painted on it. So, the transformation happened between April and July 1967. 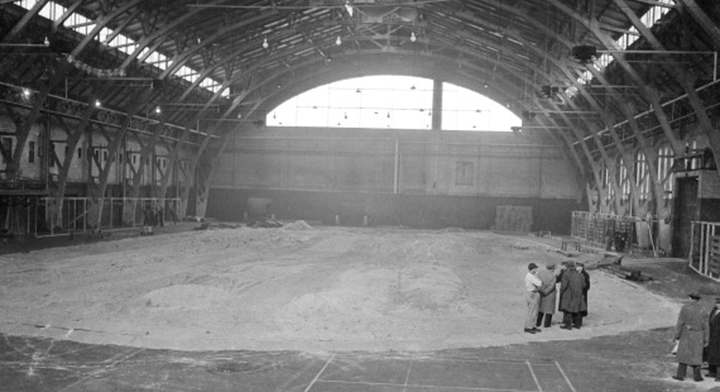 Photo five is an older, yet undated photo of the interior of the Hunt Armory. 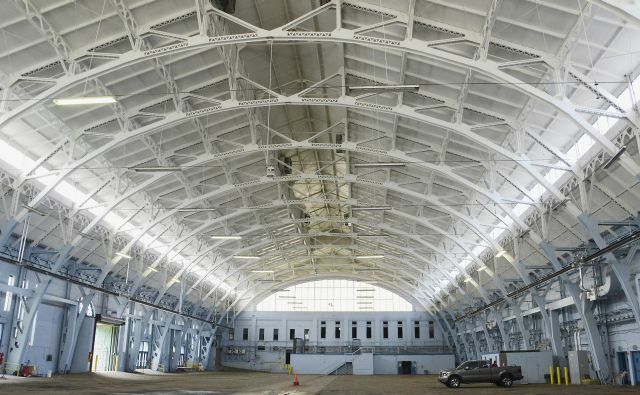 See the history on the structure at http://pittsburghpa.gov/district8/armory-history. Better photos of the space at http://rs.locationshub.com/location_detail.aspx?id=045-10000637&user=45&photopage=1 It is *plausible* in photo 5 (with the American flag) might show the same ceiling layout/infrastructure. On that last link, there is a picture of a classroom, with low, false ceiling tiles. 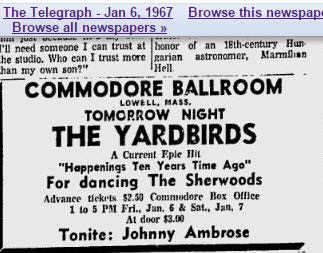 I doubt The Yardbirds played in there. This is the first known photo of JP with the theremin ('Sonic Wave') onstage. This would date its first appearance: April 8, 1969. 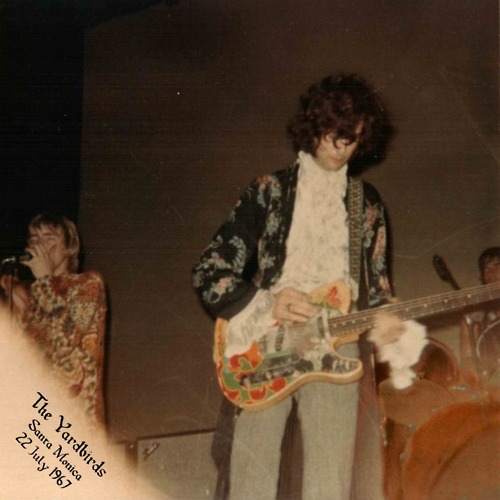 One of the fan comments in the Timeline also mentions the theremin and there's a brief review there by the photographer, written for Rock & Folk at the time. Excellent...the first one below is from April 15th, 67. For July 22nd, 67 I have a different photo and Page is dressed differently. It may not be accurate. The third photo is supposedly from the Australian tour - late Jan 67. I have no info on the last photo. Great posts dazedjeffy, thozil and Sam. I'm also continuing to look into this further. 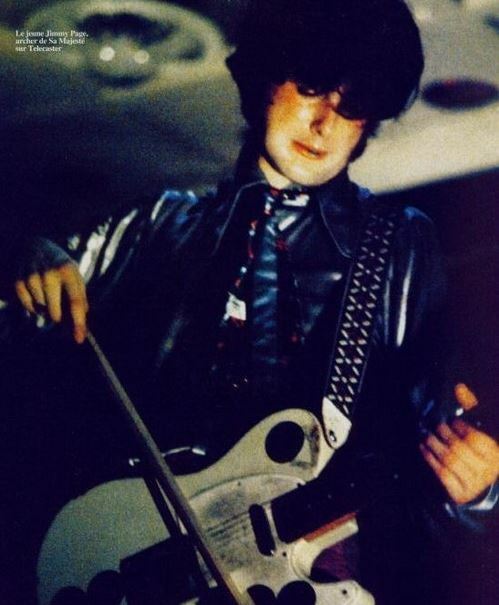 One thing I will say about speculation Page's reflectors were inspired by Syd Barrett, I tend to doubt it. I very distinctly recall a mid-70s era interview wherein Page said something to the effect of "...band like ours and, I hate to say it, The Floyd..." Always took that comment to mean although he respected Pink Floyd, he didn't have any particular affinity for them. 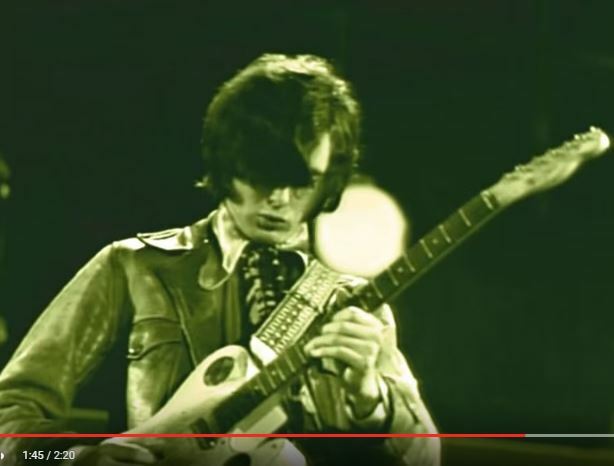 The Syd Barrett Mirrored Esquire was created by applying a silver plastic sheeting which was shrunk into place (by heat), this was a material commonly used to insulate Radios and other electronic equipment. The Silver plates (mirrors) were actually thin, polished, metal plates having a bit of an opaque reflectiveness (believe it or not these plates were a bit of a hippy fascination item in the 60's, people glued them to anything from doors, pants pockets to hats and car wheels! They were everywhere in London in the mid to late Sixties as the Hippy Era came in. You'd get little ones stuck on dresses, big ones on bags, they were stuck on hats, all sorts of stuff, because you could go into a"head shop", buy them singularly and stick them all over anything you wanted. If the photo is assumed to have been taken in North America, then it could only have been taken between Dec 26th and Jan 15th. So either 1) there was a show the Hunt Armory during one of the gaps (maybe just before the Johnstown show, which is a little more than an hour from Pittsburgh), or 2) the photo was taken at one of the venues listed above (maybe Johnstown, but again the photo doesn't look like it was taken at an arena) or 3) the photo was taken at another venue during one of the gap dates. The photo doesn't look like it was taken at the Hunt Armory...but there may have been a temporary ceiling at the time. My guess is that since they were in the Pittsburgh area on the 1st, that the photo was taken on Dec 30th or 31st. Ok thozil, you are definitely onto something here! According to Jimmy, they departed London for New York on December 24, 1966, arriving in New York on Christmas Day. 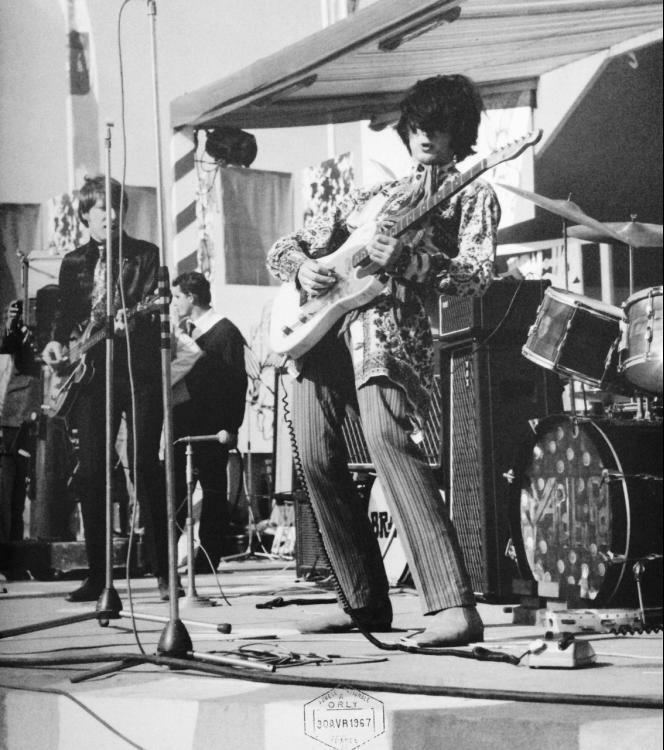 Apparently it was only an eight day tour and he said Jeff Beck did not accompany them on it. So regarding your gig list, where did you get (or how did you substantiate) 12/26 Rochester, 12/29 Kingston arrival, 1/1 Johnstown, 1/2 Commack and 1/7 Lowell ??? I do show the others but I don't show these dates. If Jimmy is correct, any gigs in the US were played between 12/26/66 and 1/2/67 but of course he could be mistaken. 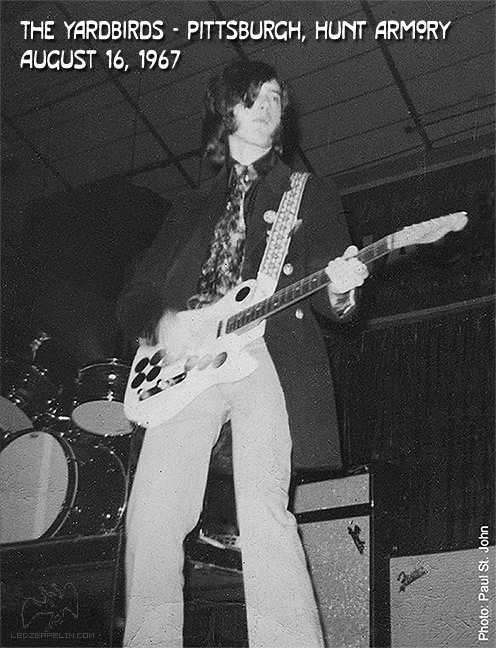 Meanwhile, Yardbirds author and Dreja/McCarty confidant Greg Russo shows three gigs in Denmark 1/6-8/1967 but does not have confirmation of venues. If your Lowell date is substantiated, I'm thinking Jimmy & Dreja/McCarty are all wrong. Perhaps Denmark was a tentative plan that was scrapped for US dates instead. It's not easy to figure this stuff out 45+ years after the fact! I don't have anything definitive for the shows on the 26th, 29th and the 2nd, but the ads below for the 1st and 7th are definitive, and there is ample evidence for the 28th. I suspect that the Denmark tour was postponed to April. The last photo below is very interesting. It's from Chaville, April 30th, 67. The reflectors are gone...but it's hard to tell whether it's been painted yet. ^^As always, THANK YOU! This is great. So the January 6th date is a new confirmed one..at least according to my notes. Actually the ad is for the 7th (published on the 6th) but thanks Deb, glad you're enjoying this. 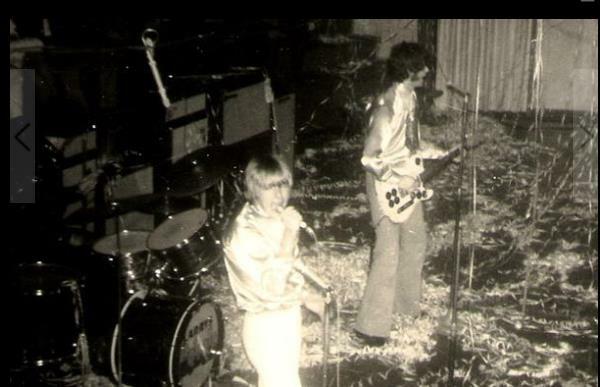 An update on the last photo I posted above...it's from March 15th, 67 in Offenbach Germany and is actually a still from a tv performance on Beat Beat Beat. I don't have anything definitive for the shows on the 26th, 29th and the 2nd, but the ads below for the 1st and 7th are definitive, and there is ample evidence for the 28th. Ticket stub for the Jan 2nd show...don't know if it's legit, but I did see someone elsewhere saying they were at the show. As you say, finding proof so many years after the fact isn't easy, so take it for what it is...Other bands playing that night were the Syndicate of Sound and ? & the Mysterians according to this site. I have updated my chronology accordingly. Seems there definitely could be unconfirmed Pittsburgh date.